Among climate change activists, solutions usually center on a transition to renewable energy. There may be differences over whether this would be best accomplished by a carbon tax, bigger subsidies for wind and solar power, divestment from fossil fuel companies, massive demonstrations, legislative fiat, or some other strategy, but the goal is generally the same: Replace dirty fossil fuels with clean renewable energy. Such a transition is often given a significance that goes well beyond its immediate impact on greenhouse gas emissions: It would somehow make our exploitative relationship to nature more environmentally sound, our relationship to each other more socially equitable. In part, this is because the fossil fuel corporations — symbolized by the remorseless Koch brothers — will be a relic of the past, replaced by "green" corporations and entrepreneurs that display none of their predecessors’ ruthlessness and greed. Maybe, but I have my doubts. Here in Vermont, for example, a renewable energy conference last year was titled, “Creating Prosperity and Opportunity Confronting Climate Change.” The event attracted venture capitalists, asset management companies, lawyers that represent renewable energy developers, and even a “brandthropologist” offering advice on “How to Evolve Brand Vermont” in light of the climate crisis. The keynote speaker was Jigar Shah, author of Creating Climate Wealth, who pumped up the assembled crowd by telling them that switching to renewables “represents the largest wealth creation opportunity of our generation.” He added that government has a role in making that opportunity real: “Policies that incentivize resource efficiency can mean scalable profits for businesses.” If Shah is correct, the profit motive ­— in less polite company it might be called "greed" — will still be around in a renewable energy future. But at least the renewable energy corporations will be far more socially responsible than their fossil fuel predecessors. Not if you ask the Zapotec communities in Mexico’s Oaxaca state, who will tell you that a renewable energy corporation can be just as ruthless as a fossil fuel one. Oaxaca is already home to 21 wind projects and 1,600 massive turbines, with more planned. While the indigenous population must live with the wind turbines on their communal lands, the electricity goes to distant urban areas and industries. Local people say they have been intimidated and deceived by the wind corporations: According to one indigenous leader, “They threaten us, they insult us, they spy on us, they block our roads. We don’t want any more wind turbines.” People have filed grievances with the government (which has actively promoted the wind projects) and have physically blocked access to development sites. It seems that a transition to renewable energy might not be as transformative as some people hope. Or, to put it more bluntly, renewable energy changes nothing about corporate capitalism. 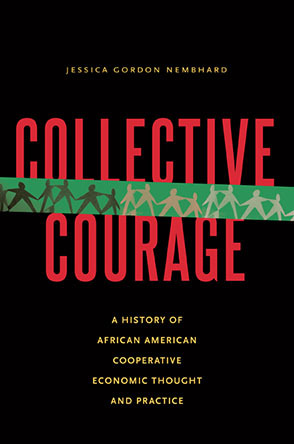 Overall, Klein’s book is far better at “connecting the dots” than the film. The book explains how free trade treaties have led to a huge spike in emissions, and Klein argues that these agreements need to be renegotiated in ways that will curb both emissions and corporate power. Among other things, she says, “long-haul transport will need to be rationed, reserved for those cases where goods cannot be produced locally.” She explicitly calls for “sensible relocalization” of the economy, as well as reduced consumption and “managed degrowth” in the rich countries of the North — notions likely to curdle the blood of capitalists everywhere. She endorses government incentives for local and seasonal food, as well as land management policies that discourage sprawl and encourage low-energy, local forms of agriculture. I don’t buy everything about Klein’s arguments: They rest heavily on unquestioned assumptions about the course of development in the global South, and focus too much on scaling up government and not enough on scaling down business. The “everything” that will change sometimes seems limited to the ideological pendulum: After decades of pointing toward the neoliberal, free-market right, she believes it must swing back to the left because climate change demands a huge expansion of government planning and support. After a gut-wrenching segment on the environmental disaster known as the Alberta tar sands, the film centers on examples of “Blockadia” — a term coined by activists to describe local direct action against extractive industries. There is the Cree community in Alberta fighting the expansion of tar sands development; villagers in India blocking construction of a coal-fired power plant that would eliminate traditional fishing livelihoods; a community on Greece’s Halkidiki Peninsula battling their government and the police to stop an open pit gold mine that would destroy a cherished mountain; and a small-scale goat farmer in Montana joining hands with the local Cheyenne community to oppose a bevy of fossil fuel projects, including a tar sands pipeline, a shale oil project, and a new coal mine. Klein implies that climate change underlies and connects these geographically diverse protests. But that’s partly an artifact of the examples Klein chose, and partly a misreading of the protestors’ motives: What has really driven these communities to resist is not climate change, but a deeply felt desire to maintain their traditional way of life and to protect land that is sacred to them. A woman in Halkidiki expresses it this way: “We are one with this mountain; we won’t survive without it.” At its heart, the threat that all of these communities face doesn’t stem from fossil fuels, but from a voracious economic system that will sacrifice them and the land they cherish for the sake of profit and growth. The choice of Halkidiki as an example actually undermines Klein’s construct, since the proposed mine has nothing directly to do with fossil fuels. It does, however, have everything to do with a global economy that runs on growth, corporate profit, and — as Greece knows only too well — debt. So it is with all the other examples in the film. Too often, climate change has been used as a Trojan horse to enable corporate interests to despoil local environments or override the concerns of local communities. Klein acknowledges this in her book: By viewing climate change only on a global scale, she writes, we end up ignoring “people with attachments to particular pieces of land with very different ideas about what constitutes a ‘solution,’ This chronic forgetfulness is the thread that unites so many fateful policy errors of recent years… [including] when policymakers ram through industrial-scale wind farms and sprawling… solar arrays without local participation or consent.” But this warning is conspicuously absent from the film. This point is made by Helena Norberg-Hodge, founder of Local Futures, who explains how a scaling down of the corporate-led global economy and a strengthening of diverse, localized economies would simultaneously address all of the most serious problems we face – including climate change. For this reason, what Norberg-Hodge calls "big picture activism" has the potential to unite climate change activists, small farmers, peace advocates, environmentalists, social justice groups, labor unions, indigenous rights activists, main street business owners, and many more under a single banner. If all these groups connect the dots to see the corporate-led economy as a root cause of the problems they face, it could give rise to a global movement powerful enough to halt the corporate juggernaut. Shaheen, Troy, “Climate change may have economic potential for Vermont” VTDigger.org, Feb. 20, 2015. “Defining and Addressing Community Opposition to Wind Development in Oaxaca” Equitable Origin, updated January 2106. “Nandigram Violence a ‘State-Sponsored Massacre’” Countercurrents.org, August 9, 2007. Maughan, Tim, “The dystopian lake filled by the world’s tech lust” BBC Future, April 2, 2015.